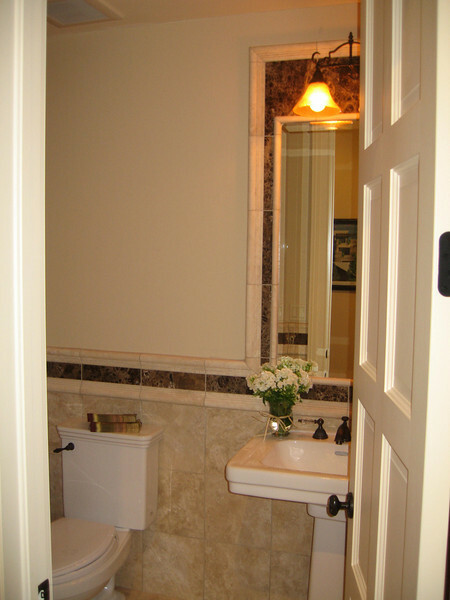 A variety of styles, colors, materials and arrangements make bathrooms one of the most exciting rooms in a home. Matching oil rubbed bronze hardware on the door, the toilet and the sink, tie in with the dark marble tile inlay at the wainscot and around the mirror. Simple elegance for a powder bath.